Dana White gives an update on Conor McGregor’s status in the UFC. 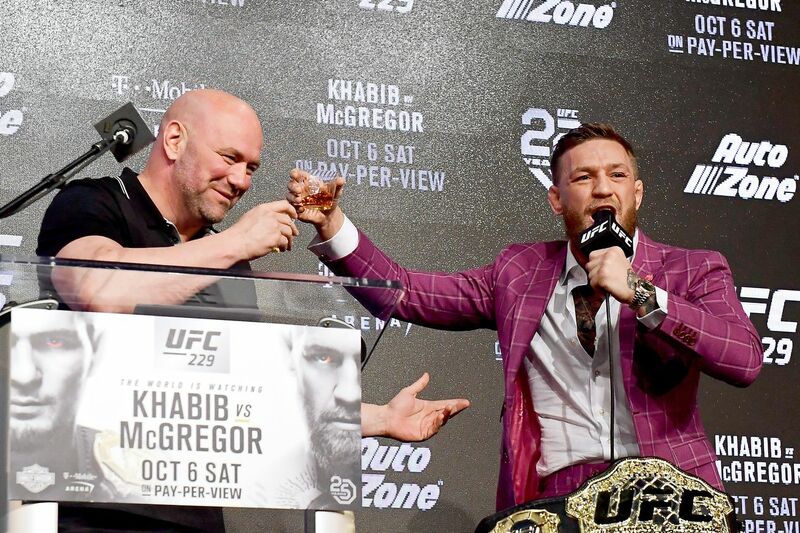 In a recent interview with CNN, UFC president Dana White doubled down on his comments that Conor McGregor will not be retiring from combat sports. Last month, McGregor posted a cryptic tweet about retirement but then backtracked a couple of weeks later when he teased of a rematch with undefeated Russian, Khabib Nurmagomedov. According to White, who claims to be in daily contact with McGregor, ‘The Notorious’ will definitely return to the Octagon in the near future. “Conor McGregor will fight again,” White confirmed. “Me and Conor communicate every day. We’ve been talking all this week. Things are good with Conor and I and we’ll get something figured out soon. McGregor has come under fire for his inactivity and seeming disinterest in competition, having only fought three times in the past three years and not having officially won a fight since 2016, when he knocked out Eddie Alvarez to capture the lightweight title at UFC 205. “He lost to the greatest boxer, arguably of all time, in a boxing match,” White explained. “Conor, was [in] his first boxing match and he did really really well. [He] earned a lot of respect from people from that fight. McGregor is still without an opponent but White teased of an MMA fight versus Floyd Mayweather or a possible rematch with Nurmagomedov. “I’ll do that fight this Saturday if they want to do that one,” he said of a rematch between McGregor and Floyd under MMA rules. “Yeah, if Floyd wants to fight in the octagon, we’ll do it 100 percent. ”I think that that fight is a possibility some day in the octagon. Listen, after making the first fight, I never say never anymore.